NYFF Film Festival main slate: "The 13th"
NEW YORK -- Ava DuVernay's documentary The 13th is the Opening Night selection of the 54th New York Film Festival, which will take place September 30 - October 16 at the Film Society of Lincoln Center. Making its world premiere at Alice Tully Hall, The 13th is the first-ever nonfiction work to open the festival, and will debut on Netflix and open in a limited theatrical run on October 7. Chronicling the history of racial inequality in the United States, The 13th examines how our country has produced the highest rate of incarceration in the world, with the majority of those imprisoned being African-American. The title of DuVernay's extraordinary and galvanizing film refers to the 13th Amendment to the Constitution - "Neither slavery nor involuntary servitude, except as a punishment for crime whereof the party shall have been duly convicted, shall exist within the United States..." The progression from that second qualifying clause to the horrors of mass incarceration and the prison industry in the U.S. is laid out by DuVernay with bracing lucidity. The 17-day New York Film Festival highlights the best in world cinema, featuring works from celebrated filmmakers as well as fresh new talent. The selection committee, chaired by Jones, also includes Dennis Lim, Film Society's Director of Programming; Florence Almozini, Film Society's Associate Director of Programming; Amy Taubin, Contributing Editor, Film Comment and Sight & Sound; and Gavin Smith, who serves as a consultant. 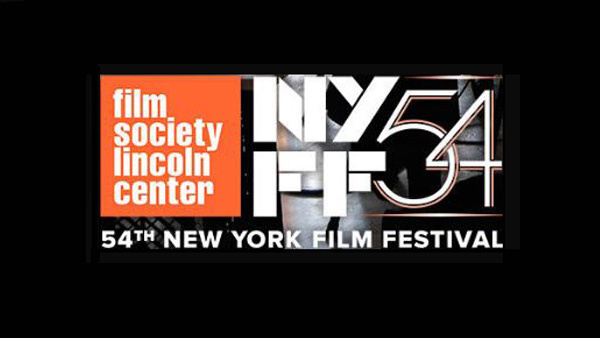 Tickets for the 54th New York Film Festival will go on sale September 11. Become a Film Society Member at the Film Buff Level or above to receive early ticket access to festival screenings and events ahead of the general public, along with the exclusive member ticket discount. Click here to learn more.